La stratégie présente 113 actions spécifiques visant à réformer la politique des drogues des Etats-Unis, en mettant en place une politique de santé publique innovante, basée sur des données scientifiques et des approches prouvées afin de réduire l’usage de drogues et ses conséquences. Pour en savoir plus, en anglais, veuillez lire les informations ci-dessous. Today, Gil Kerlikowske, Director of National Drug Control Policy, released the 2012 National Drug Control Strategy, the Obama Administration’s primary blueprint for drug policy in the United States. The new Strategy outlines 113 specific actions to be undertaken throughout the Federal government to reform U.S. drug policy through innovative and evidence-based public health and safety approaches aimed at reducing drug use and its consequences. Specifically, the new Strategy is guided by three facts: addiction is a disease that can be treated; people with substance use disorders can recover; and innovative new criminal justice reforms can stop the revolving door of drug use, crime, incarceration, and rearrest. 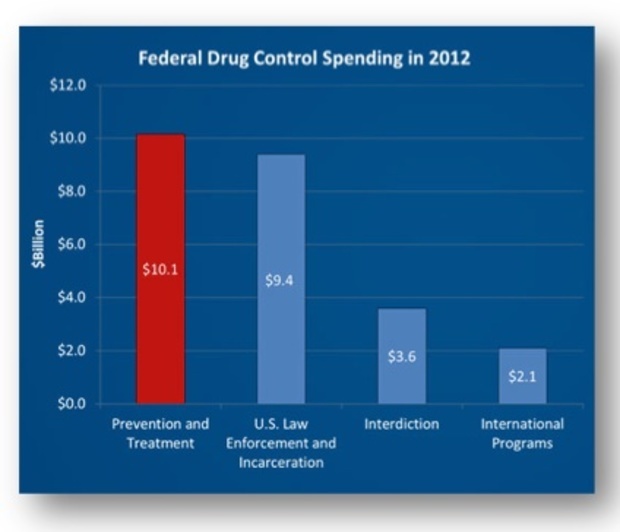 The President’s inaugural National Drug Control Strategy, published in 2010, charted a new direction in drug policy. The 2012 Strategy provides a review of progress made to date and outlinesprograms that work to significantly reform the criminal justice system by diverting non-violent drug offenders into treatment instead of incarceration, addressing substance use disorders through the healthcare system and youth outreach, targeting violent transnational criminal organizations, and expanding unprecedented Administration efforts to secure the Southwest border and strengthen international partnerships. In October of 2010, the President signed the Secure and Responsible Drug Disposal Act of 2010 into law. The law will help communities combat the Nation’s prescription drug abuse epidemic by making easier to properly dispose of expired, unused, or unneeded prescription drugs. Overall drug use in the United States has dropped substantially over the past thirty years. In response to comprehensive efforts to address drug use at the local, state, Federal, and international levels, the rate of Americans using illicit drugs has dropped by roughly one third since the late 70s. More recently, there has been a 40 percent drop in current cocaine use and meth use has dropped by half. To build on this progress and support a public health and safety approach to drug control outlined in the Strategy, the Obama Administration has requested over $10 billion to support drug education programs and support for expanding access to drug treatment for people suffering from substance use disorders. The FY 2013 Budget also requests $9.4 billion for domestic law enforcement, $3.7 billion on interdiction, and $2 billion for international programs. A full copy of the 2012 National Drug Control Strategy is available here. Click here to see videos and read more about innovative alternatives to drug control supported by the Obama Administration.